Scleritis is an uncommon but important disorder of the schera that represents a serious threat to vision and to the integrity of the eye. It may herald the onset of a potentially life threatening systemic vasculitic illness. Accurate clinical assessment is essential to accurately diagnose the severity of the scleral inflammation and to plan investigations and treatment. 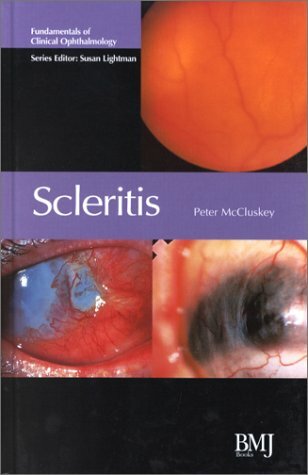 This concise and beautifully illustrated text is an authoritative guide to the management of patients with scleritis and episcleritis and is written by internationally recognised specialists who bring their export knowledge and experience of managing this challenging form of inflammatory eye disease.